Carrying a lot of debt, particularly if it is high interest credit card debt can be a serious problem for many consumers. With high interest rates, come large monthly payments and large interest costs. 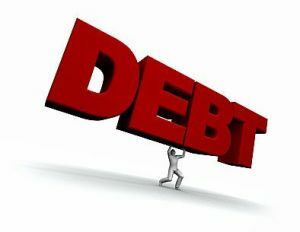 These kinds of debts can be brought under control with low interest consolidation loans. They focus more of your money on paying off the loan instead of paying interest. We will illustrate with a few examples. This will help our readers understand why it is important to pay off these debts with a low interest consolidation loan. But first there is no sense in taking this step of consolidating your credit card debt. If you are only going to reload your credit cards once again. Now you may not be able to consolidate your credit card debt a second time. Let’s assume that you have a credit card that is charged up to the maximum of $5000. The interest rate is 19.5%. We will assume that you will take 5 years to repay this amount and you just keep paying this high interest rate. In addition we want to keep this simple. We will assume that you have seen the light and will not charge anything in addition to the credit card. Your monthly payments over five years at 19.5% will be $122.92. You will pay a total of $2,477.66 in interest costs during this five year period. This is quite a bit considering the amount that we are talking in terms of what you need to repay. It is almost half of your principal. You will pay a total of $7,477.66 over the five years if you do not charge anything in addition to your credit card. Now if you arrange for a consolidation loan at a lower rate of say 10%, with the same term and the same total amount. The monthly payment will be $103.08 a savings of $19 a month. The total interest charges will be $1,270.59 for a savings of over $1200! This is quite a bit of money. Many people can use this kind of money including paying off the loan that much quicker. If you were to find a lower interest consolidation loan to consolidate your debt, the payments would be even less and the savings even greater. It is also helpful to have one payment per month rather than have to remember to pay all of your loans every month plus your credit cards. By consolidating all of your debt into one easy low interest loan, you have one payment to make and the interest rates is much lower as well saving you money. The money you save could be put on the debt as well and you get to pay off your loan that much more quickly saving even more money in terms of interest cost. Something to think about. On our next post will discuss consolidating your debt using a secured loan or a secured mortgage which has some of the lowest interest rates going.